It’s hard to do, but when your toddler breaks out into a full-blown temper tantrum, it can sometimes be best to take a step back and let the storm ride out. Toddler temper tantrums are usually a side effect of a different issue, most commonly that your child is seeking out your attention. For this reason it is important that you don’t always cave into what they most want and give them the attention that they are desiring. Instead, let them have some space away from you and anything else that may keep their temper tantrum going. Putting them into their bedroom, for example, is a good alternative and lets them have their space in their own space. When your child is in the middle of a tantrum, it is important to realize that they are literally out of their own control. As their emotions run wild, giving them the time to breathe on their own allows them to get their feelings out and pull themselves together in a nondestructive way. However, the second you jump in and argue back you are only adding fuel to the fire. Take a step back, think about whether your intervening will truly help the situation, and if not, then give them some space and wait for the mood to pass. Not all tantrums happen in the luxury of your home, many happen in the full view of an audience. We’ve all heard of the “calm before the storm” and truly there’s no difference when it comes to those moments when your preschooler is about to go off the deep end. In those seconds leading up to what you’re sure will be a meltdown, it can be best to try and switch gears and confuse your child into calming down. Consider changing topics of conversation to gear the mind away from what it is they are distraught over, or filling a bag with small toys that you can pull out that might calm them down. However, keep in mind that if they are frustrated over something they cannot purchase in a store, then you should not give in. Giving in only reinforces the idea to your child that the aggressive behavior is okay and will be rewarded. While some toddler temper tantrums are the result of an “I-want-but-won’t-get” situation, others are a little more complicated. I mentioned above how your preschooler might be reacting for the simple fact that they want the attention, however, in many cases it can be a more deep-rooted issue. Difficulties with communication can often result in the tantrum that your child throws. When your preschooler cannot find the right word to communicate what it is they want or need then frustration builds, and with this anger, until their emotions are out of their control. Many parents have found use in teaching their children some basic sign language to help them connect when words fail them, or to discuss any issues that their child might be having with their preschool teacher. In any sense, taking the time to understand the problem is key to helping your child work through their tantrums and grow out of having them. When the arms are flailing about and your child is spitting what looks like fire, you might want to keep them further than an arm’s length away. However, sometimes your child needs just the opposite attention. Yes, hugging is a simple way to let your child know that you’re there for them and that you love them. However, it can do so much more than that! Hugging relaxes your sympathetic nervous system, decreases your metabolic rate, and lowers the release of cortisol (a stress inducing hormone). A sturdy hug, one that encompasses the entire body, is an excellent source for calming down the aggressive behavior in children. Though your preschooler may resist at first, they will inevitably calm down as their nervous system comes down from peak highs. One thing that can leave your child really flummoxed and eager to keep fighting is to fight back. Of course, nothing can really be solved by a screaming match with your three-year-old, which is why yelling is not the way to solve things. Instead, speak calmly, slowly, and without inflection. This will keep your child from picking up on any sort of anger, and can force them to match your tone and speak equally as calmly. If you’re in doubt about ways to handle your toddler’s temper tantrum, then contact their preschool. Here, they should be able to give you a handle on what to do in sticky and volatile situations. 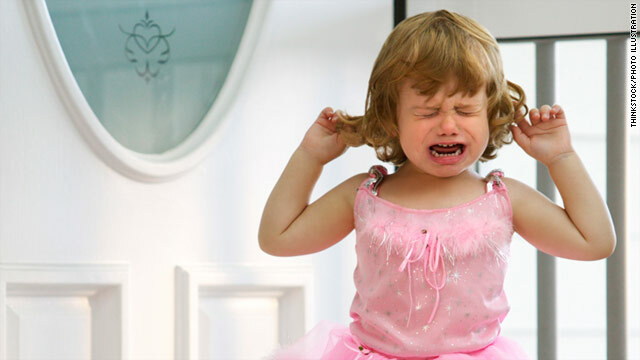 What tricks do you have for dealing with toddler tantrums?